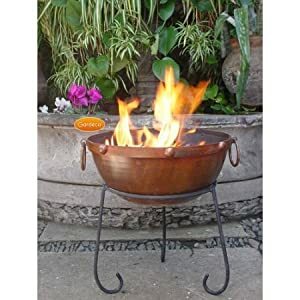 We are currently selling the acclaimed Theydon Large Rustic Steel Fire Bowl 50cm Dia To Give That Medieval Feel for a great price. 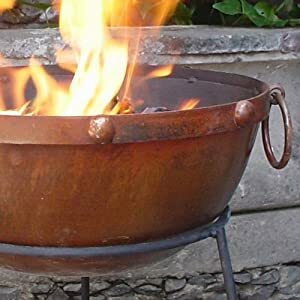 Don't lose out - purchase the Theydon Large Rustic Steel Fire Bowl 50cm Dia To Give That Medieval Feel online today! 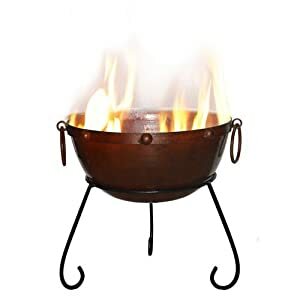 Enjoy the outdoors with this rustic steel fire bowl. The 50cm bowl allows you to watch the dancing flames and warm those long evenings. Can be used as a BBQ - Simply add your own grill. Ideal for any fire in the garden. Made of thick steel sheet with nail-like knobs on the outer rim plus side handles. It is painted in a pre-rusted colour and comes on a steel stand. Please allow 5 working days from date of dispatch. Theydon is painted a pre-rusted colour and comes on a steel stand.